The fate of the arena is up in the air after celebrated architect Frank Gehry stepped out of the project. Frank Gehry is bowing out as the architect of the planned Nets arena at the controversial Atlantic Yards project in downtown Brooklyn. Developer Bruce Ratner’s group announced today a “mutual agreement” in which “starchitect” Gehry would relinquish his role as chief designer of the Barclays Center, which would house the Brooklyn Nets. 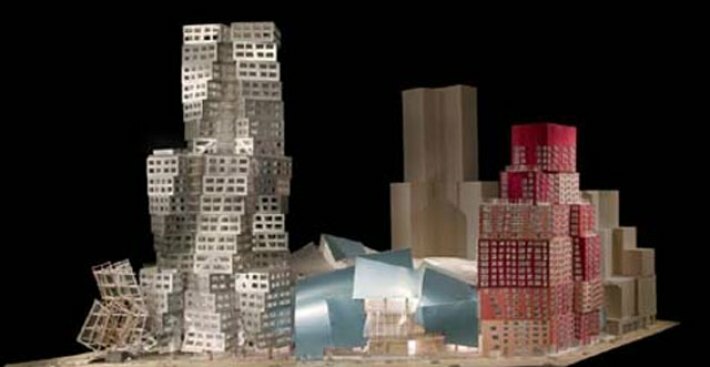 "I have an immense gratitude toward Frank Gehry for his amazing vision, unparalleled talent and steadfast partnership," Ratner said. Forest City Ratner had landed $400 million from Barclays Bank for naming rights to the Gehry-designed arena. From the very beginning, Ratner's plan to build a huge complex of residential towers, commercial space and an arena for the Nets in the middle of Brooklyn has been controversial. Local residents rallied against it, because of its use of taxpayer subsidies and its use of eminent domain to allow the state to seize land for the project's use. They also argued that it sacrificed the character of Brownstone Brooklyn. Support for the project came from lawmakers including Mayor Michael Bloomberg. Until the bottom fell out of the economy, it looked like the project would go through. Recently, construction has been beset by delays as the developers try to line up financing. Ratner has said that the project at the intersection of Atlantic and Pacific Streets in Brooklyn would be scaled back, but would still materialize. Now, analysts question whether Barclays and other investors will stay on board without the involvement of the famous architect.